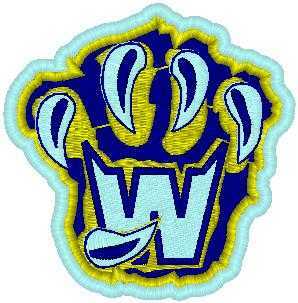 Who are the Winfield Wolverines? This program is geared primarily towards WIA players and Winfield Park District residents ages 10 to 18, who are seeking a higher level of competition and who are willing to make a substantial commitment to playing softball. Players are selected by a committee based on a variety of factors including, but not limited to, performance level, commitment, ability, effort and attitude. Tryouts for the Wolverines program are held in August for the upcoming season. Wolverine Travel Softball is fielding full-time teams at the 12U, 14U, 16U age levels in 2019. Age eligibility is determined by the player’s age on January 1, 2019. The Wolverines play an aggressive schedule (approx. 40-50 games), competing with other community traveling teams and in local tournaments. Teams train indoors throughout the fall and winter months, and practices continue throughout the season, which typically runs from April through the end of July. Note that playing time will depend on, but is not limited to, a player’s performance, dedication, and attitude during practice and games and is at the MANAGER’S DISCRETION. Players will not be guaranteed playing time. Every effort will be made to give players a chance to earn positions during practices and practice games.